This is one of my favorite sessions as a Seattle Newborn Photographer! I love every single photo from her session, which is why this post is so long! I couldn’t not share any! Before the session, I always ask parents their preference on color. Mom chose pink and teal for her session and I absolutely love the combination! The gallery is perfect! This little girl slept the entire session and let me do so many setups with her! I always tell parents that the more the newborn sleeps, the more photos they will get! And that was the case with this baby girl! It is SO important to follow the prep packet that I send parents! 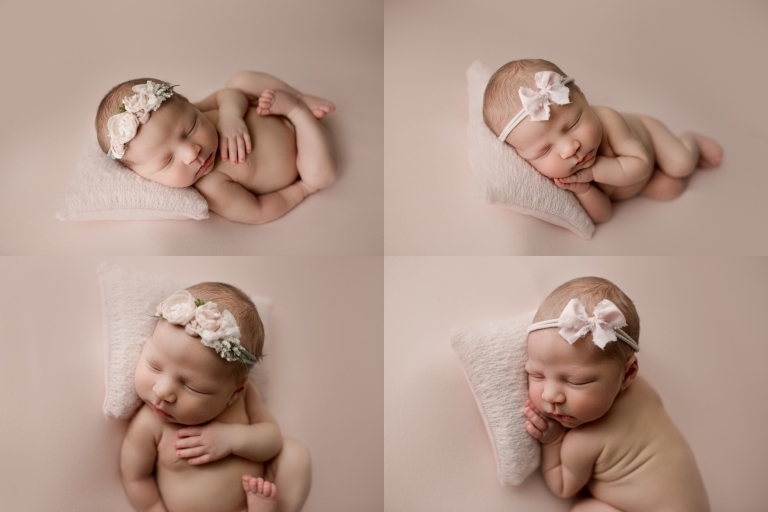 The baby will sleep SO much better during the session and you’ll get a beautiful gallery of sleepy shots! One of my favorite things about this session is the little pink pillow I used! It is the first time I used one in a newborn session and now I want one in every color! I think it makes for the perfect detail!